THE snow-covered fields of Minnesota, North America, are a far cry from the rolling hills of West Gippsland where Kristie and Mick Connors run their livestock operation. However, a bad feed of lamb during their four-year term abroad was the catalyst for their “farm to fork” business, Tennessee Tasty. “When we lived in America, lamb wasn’t very popular,” Kristie remembers. So Kristie and Mick began raising lambs on their four-hectare property in Medina, Minnesota. The Connors processed lambs in the snow, as the temperature hovered at or below freezing. “There were a lot of ex-pats in the area and it became a bit of a joke; we’re going over to the Aussies’ for some lamb on the barbie,” Kristie says, laughing. Now with their children, Jackson, 8, and Dakota, 7, Kristie and Mick are back in Australia farming on 44 hectares at Lardner. “Kristie and I are from farming backgrounds and we’ve always had that passion,” explains Mick, who has worked for global agribusiness giant Cargill for 16 years. Flock home: Mich and Kristie started rearing lambs while living in the US and launched their White Dorper operation at Lardner when they moved back to Australia. 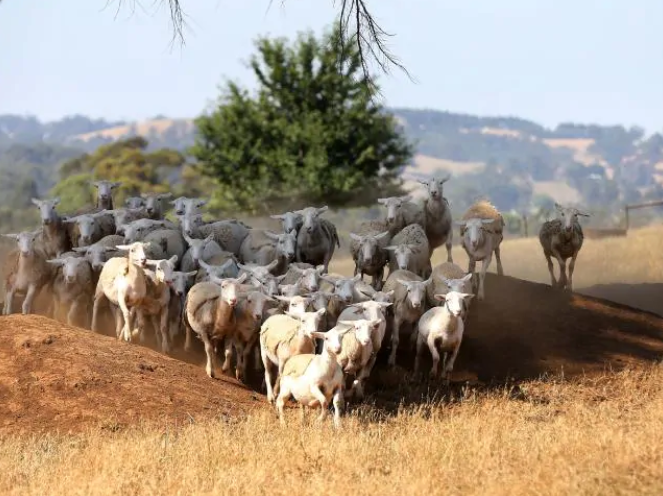 They run 200 White Dorper sheep and 50 Angus steers, most of which are marketed through their Tennessee Tasty brand — named after Kristie’s parents’ property in the NSW Macleay Valley. Click here to read the full story by ZOE RISTROM, The Weekly Times.